While it is very early days for the states benefitting from internet gambling in the United States, it is understandable that there is a clamour for news and updates of how things are going. If it can be shown that these states are achieving success and there are no real problems, there will start to be a build-up towards rolling out online gaming legislation across other states in the country. Online poker players who are not located in New Jersey should still be taking an interest in what is going on in the state and this is why the fact that the State Senator, Ray Lesniak, is already making positive comments about internet gaming in New Jersey has to be seen as a positive thing. It was Lesniak who took great responsibility in driving the bill forward and he was once quoted as saying that he would like to see New Jersey become the “Silicon Valley of internet gaming”. This was a big comment to make, and it gave the media a quote that they could hang their articles on but it seems as though Lesniak is willing to go a lot further. Just last Friday, in an interview with an internet gaming site, he stated that he wants New Jersey to be seen as the “Mecca of internet gaming”. 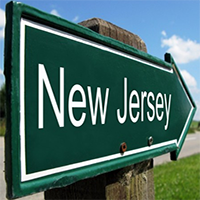 This has clearly upped the ante and to achieve this aim, Lesniak says that he wants to make further changes to the legislation that will allow foreign internet gaming and poker operators to invest in the area and to set up their business operation in New Jersey. There are certainly interesting and exciting times in the world of US online poker and there doesn’t seem to be any reason for slowing down. In fact, there has already been talk that there may be a chance of raking in $1bn in internet gaming and poker revenues before too long. Lesniak is too much of an experienced politician to be drawn on that and he wants to make sure that expectations and hopes are set at a reasonable level in the industry. Lesniak states that he expects good profits this year but down to the costs of licensing and the cost of starting up the businesses and industry, he expects the overall figures to be much lower than what some people are hoping for. When politicians are involved, there are some who will be keen to point out the best possible picture as it will help them to be seen in a better light. Lesniak tries to dampen some of the excitement around internet poker in New Jersey, but he clearly believes that things are on the right track for the industry. Lesniak also spoke about the campaign that is being waged against online poker and internet gaming by people such as Sheldon Adelson. Lesniak believes that the hundreds of millions of dollars that are being generated in New Jersey by internet gaming will help Congress to decide that things are heading in the right direction. With the power of the internet, Lesniak believes it is best to harness the gaming opportunities in a legal and fair manner as opposed to forcing players to make tough decisions that can put them in trouble or leave them exposed to greater risks. Ray Lesniak also spoke about the PokerStars bid to gain a licence in New Jersey. He wouldn’t be drawn on the current stage of the application but he did state that any state would be delighted to call upon the expertise and brand name that the firm has in the online poker industry.